What attracts people to fame? Narcissism? Feelings of inadequacy? A need to be loved? For Laura Lamont, it’s all these things; but it wasn’t always. Laura Lamont the movie star begins life as Elsa Emerson, a young girl growing up in Door County, Wisconsin, in the 1920s and 30s. Her parents run a theatre in a converted barn on their land, and for the summer months actors and stage crew stay with the family in various cabins and outbuildings, putting on plays every night. Elsa dreams of being on the stage, of being part of the excitement and the spectacle. She is the youngest of three sisters – there is stoic, mysterious Josephine, and dramatic, beautiful Hildy. Everyone loves Hildy, and everyone says she should be the one on stage, but she shows little interest. Elsa cannot imagine not wanting to be on stage, with everyone cheering for her. One summer when Elsa is nine, Hildy gets involved with one of the actors, Cliff. The results of that affair will change Elsa’s life forever. In her late teens Elsa marries a visiting actor, Gordon Pitts, and they move to Hollywood together – young love and young dreams. At a party for a film in which Gordon has a bit part (though he acts like the star), a heavily pregnant Elsa is ‘spotted’ by Irving Green, one of the studio heads. He renames her Laura Lamont and tells her to come and see him after the baby is born and she’s lost thirty pounds, and he’ll make her a star. Again, her life is changed forever. This point is also where the novel changes forever. The opening section in Wisconsin is very charming and vivid, with excellent characterisations of Elsa, her family, and the actors. There is also a great sense of place and environment, and the influence the life in the theatre has on young Elsa – it is only natural that she should dream of being a part of the plays, of performing and gaining recognition for her talents. Her relationship with her ‘perfect’ older sister Hildy is also brilliantly drawn, with Elsa idolising the teenager and wondering how she could ever be unhappy. What happens to Hildy has a such an effect on Elsa that it stays with her for the rest of her life. She is sill young and naive, but altogether likeable and seems to have great potential for development as a character. You want her to succeed. In Hollywood, nothing is as Elsa expected. She did not expect to get pregnant so early on, or be singled out at a party by a studio head. She is overwhelmed and doesn’t seem to have time (or the impulse) to make any major decisions for herself. She is swept along by life, and still unsure of herself. Motherhood and marriage do not give her a sense of identity, and so she looks for this in her acting career. Alas, she does not find it. Elsa/Laura is desperate for the attention, affection and admiration that Hildy always had and that she felt she did not. She constantly tells herself that it should be Hildy in Hollywood becoming a star and has constant feelings of inadequacy, as of the world wanted Hildy and they got stuck with her instead. Most of this stems from her idolisation of Hildy, but also their mother’s lack of maternal instincts and her outright disapproval of the life her youngest daughter has chosen. 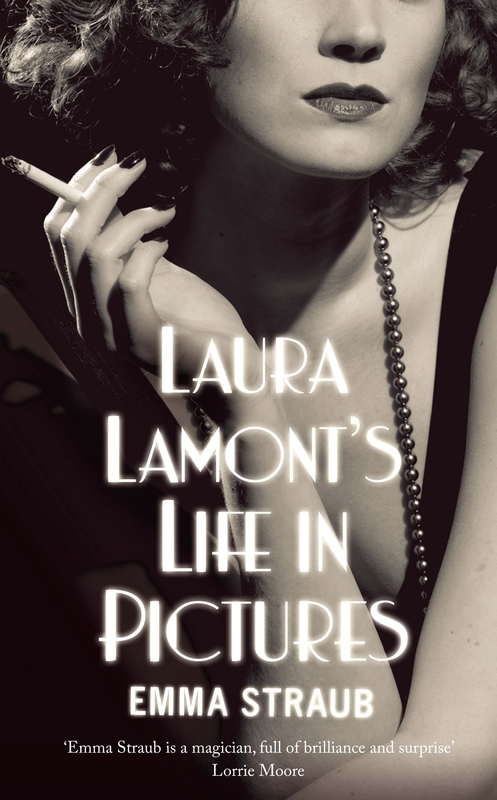 Throughout Laura Lamont’s Life In Pictures, I found Laura to be a very passive character. Everything happens to her, and she is not very proactive on her own. When she is acting in a film, she is told exactly what to say and do and how to be, but in her own life she is completely lost. She and Gordon divorce soon after her rebirth as Laura, and she is charged with looking after their two young daughters – but her housekeeper and nanny Harriet does most of that. So Laura reads her scripts, meets with important people, and acts in her films. In no way does she take control over her own life. From Laura’s early days as a movie star, there is a parallel between her and another actress at her studio, Ginger. Ginger and Laura start out together, but Ginger’s career is entirely different to Laura’s. She acts in movies but later moves into television, and always plays comedic roles. She is incredibly successful and even moves her way up in the studio, influencing the movies that are made. She succeeds ahead of Laura because she takes charge of her life and makes decisions for herself; she is also very ambitious, something that Laura never seems to be. She wants to act, but her life as a movie star is one that was handed to her, and she never seems to dream of stardom. She simply becomes depressed that she hasn’t achieved it, while making no considerable effort to do so. Later in her life she resorts to reflecting on what she sees as failures in her life, but that she has made no effort to achieve. For instance she constantly regrets not taking her children to Wisconsin more often, but never makes any plans and or does anything to make this happen. She just seems to like moaning. As her career dwindles and the children need her less, Laura begins incessantly writing letters to her mother, who never responds. Over the years, Laura’s parents came once to Hollywood to go with her to the Oscars, and she visits Wisconsin with her family once too. On both occasions, her mother is sour and cold, disapproving of Laura and the life she has chosen. After the visit to Wisconsin, Laura’s mother writes her a particularly cruel letter in which she requests less and less contact, as they have so little in common. It devastates Laura, but she continues to write; again her need for attention and love dictates her actions. You feel sorry for her as her mother is very unkind, but at the same time you wish that Laura would do something for herself and stop seeking attention and validation from someone who will never provide it. I loved the opening section of Laura Lamont’s Life In Pictures, about Elsa’s childhood in Wisconsin; but once she gets to Hollywood, things go downhill not only for Laura but also for the reader. 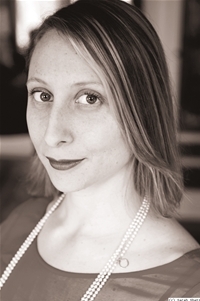 While Emma Straub’s writing is consistently fluid, considered and elegant, her storytelling meanders and gets muddled in Laura’s emotions and thoughts of self-pity. Laura spends too much time thinking about the past and what could have been, and doesn’t seem to learn much. This is why I found the ending unsatisfying – while Laura fulfils a childhood ambition, she doesn’t really resolve any of her issues or move on from Hollywood as I thought she might. She idealises her childhood and after her career starts to wane she wastes years and years wallowing in self-pity and moping around the house drugged up on barbiturates. I wanted to shake her and shock her into doing something for herself instead of waiting for someone to save her; which in the end is what happens – and so she learns nothing at all. There are a lot of good things about this novel, and I liked so many aspects of it (the writing, the supporting characters, and life in Wisconsin), but its negatives are too great for it to become brilliant. Published by Picador in the UK and Riverhead Books in the US, in 2012. My copy was kindly provided by Picador for review. I agree with you totally. Laura later was so full of self-pity. I loved the first half though.